Cheap cloud storage is more available than ever, with many excellent deals out there for bargain hunters. Providing remote file hosting for an entire family is another matter. All those 1TB storage plans add up, especially for the Brady Bunches of the world. To help you cut costs and keep those Disneyland vacation dreams alive, we’ll survey the best cloud storage for families in this article. Unfortunately, not many of the providers covered in our cloud storage reviews library include family plans. At the time of this writing, the only respectable option with subscription aimed at households is OneDrive. Things will be different soon, though,, with Google launching major changes to its Google Drive service, including rebranding it as Google One and allowing users to share space with up to five family members. Although this article is ultimately a two-horse race between OneDrive and Google One, we’ll include some additional low-cost options to help you keep the bills down while preserving family photos, vacation videos, school essays, scanned documents and other mementos of your digitized family legacy. For more options, give our best cloud storage buyer’s guide a read. If it’s backup you need for your family, our piece on the best backup for multiple computers will point you in the right direction. Before we introduce our picks, running down the list of criteria we used in making them should provide the ammunition you’ll need to sell your cloud plans to your tribe at the next family meeting. At the top of the list is value. We wanted to give precedence to cloud storage providers that offered discounted family plans. Running into a wall there since there are only two that turn heads (plus iCloud if you’re an Apple — aka, Stepford – family), we turned to the services mentioned in our best deals in cloud storage article. Along with cost, we considered storage volume. More gigabytes means more memories that you can store. Expansive storage plans are also great for storing music and high-definition videos, ideal for families looking to build out a home media solution. Though, if that’s your goal, you’re better off with an on-premises cloud storage device. Another top feature for families is sharing. The ability to grant access to your parents, grandparents, brothers, sisters, cousins and whomever else to your folders is a great way to share files, including photos. With most providers, you can generate public links that can be posted to Facebook or whatever social media tool you use to avoid talking to your loved ones over the phone. We considered integrated apps and security, though those are two areas that are somewhat mutually exclusive. Microsoft, Google and Apple have cloud office suites that integrate with their cloud storage services, letting you edit files online, but the ability to edit or even preview files online means that private, end-to-end encryption is off the dinner table. Sometimes called zero-knowledge encryption, private, end-to-end encryption means only you know your password and file encryption keys, which, in turn, means not even the cloud provider can decrypt your files. While this is preferred for security, if the provider can’t decrypt your files, it also can’t open them for browser-based apps. You’ll need to download your content to make changes. You’ll need to decide whether browser-based apps or cloud security is most important for your family. If the latter, then pCloud and Sync.com, our third and fourth picks below, are the best options. Read our best zero-knowledge cloud providers article for alternatives. OneDrive is one of the most popular names in cloud storage, behind only Google Drive and Dropbox in total users. What makes the service ideal for households is that it actually has a subscription aimed at families. It’s a great deal, too. OneDrive’s family plan is called Office 365 Home. It provides 5TB of cloud storage for five family members, meaning 1TB of digital space each. Additionally, you’ll get downloadable desktop versions of Microsoft Office tools, including Microsoft Word, Excel, PowerPoint and OneNote. Microsoft Office will help get your kids through school (students get OneDrive for free), help you write your novel and help your significant other manage your money. OneNote is one of the best note-taking apps available. It’s a trustworthy tool for journaling about your family life and gathering research for colleges, vacation destinations and home improvement projects. The software provides a desktop sync folder and a web interface for storing and accessing files in the cloud. The sync folder looks like an ordinary desktop folder, but it isn’t. Any folders and files you drop in it get sent to the cloud, in addition to other devices you have synced with your OneDrive account. OneDrive sync works well, especially for Microsoft Office file types, for which it makes use of a file copying method called block-level copying. We cover sync speeds in our full OneDrive review. Stored folders and files can be shared using the web interface. When sharing files, you can allow others to edit them or not. The latter is useful for sharing photos that you don’t want accidentally deleted. For all the good, there’s one major flaw with OneDrive. Files aren’t encrypted at rest in the cloud unless you subscribe to a OneDrive Business plan. That means your files are left in plain text server-side, a possible vulnerability in the event of a data breach. If that bothers you, you can use Boxcryptor as a workaround. Boxcryptor is a private-encryption tool that’s compatible with OneDrive. We cover the details in our Boxcryptor review. Google One is set to launch in 2018. It isn’t out yet, but we’re going to pretend it is since cloud storage tends to be a long-term investment and the rollout is just around the corner. Google One is a rebranding of Google Drive, but focusing on the silly name change misses the point. The two biggest changes are that Google is doubling its 1TB plan to 2TB and enabling you to share your storage space with up to five others. At $9.99 a month for 2TB, the plan isn’t nearly as good a deal for families as Office 365 Home, but it’s just as good a deal as iCloud, our fifth-place pick. Plus, Google has many other subscription options for those who need more, or less, storage. That includes a 100GB plan for just $2 per month. Google has one of the best free cloud storage plans available at 15GB. Storage space is shared between Google Drive, Google Photos and Gmail, though, so keep that in mind. Like OneDrive, Google One is made even better for families by its free office suite. Called Google Docs, the suite is browser-based, but it allows offline editing so long as you enable that feature. Google Docs applications include a word processor, also called Google Docs, in addition to spreadsheet software called Google Sheets and presentation software called Google Slides. Though not part of Google One, Google makes a nice notes app called Google Keep that’s great for putting together shopping lists to feed your offspring and chore lists to put them to work. Read our Google Keep review for information. A searchable library of third-party apps allows you to further enhance your Google One experience. Google One can be used to view images, stream media and play music. Its mobile apps for Android and iOS can automatically upload photos and videos shot from your smartphone, helping to ensure that vital moments in your family’s history are preserved in the cloud. Though it uses the same sync-folder model as OneDrive, sync with Google One can be buggy at times, with files failing to upload. More often, it runs without hitch on the back of Google’s global server network. File sharing is more concerning. While Google makes it easy to share files, features such as link passwords and expiry dates aren’t offered, making sharing vulnerable to unauthorized access. An advantage over OneDrive is that Google does encrypt files stored at rest on its servers. However, per Google’s terms and conditions, the company leaves room to scan your stored files for illegal activity, such as copyright infringement, and to assemble a user profile for targeted marketing. You can read more about privacy problems in our Google Drive review. The solution is the same as the encryption issue with OneDrive: use Boxcryptor to scramble your files before sending them to the cloud. The next two providers on our list don’t have family plans, but are good for household use for one reason or another. The first of the two is a long-time Cloudwards.net favorite: pCloud. With pCloud, you get 2TB of storage for $8 a month. As far as individual plans go, almost no provider, including OneDrive and Google One, has a better offer on the table, with the exception of the next entry on our list, Sync.com. If you don’t need that much space, you can opt for 500GB plan at $4 per month. That will help you reduce household file-hosting costs as compared to providers with just one subscription plan, such as Dropbox (read our Dropbox review). For some family members, pCloud’s free 10GB plan should suffice. You can earn an additional 1GB of storage per referral, up to 10 more gigabytes, so be sure to invite your immediate and extended family rather than signing them up separately. It ranks among the best free cloud storage plans available. The knock on pCloud is that it doesn’t have an integrated office suite like OneDrive and Google One do. It can be used to automatically backup OneDrive and Google One accounts, though, so it’s a good service to pair with either. You can always take advantage of the free OneDrive and Google plans to gain access to Office Online or Google Docs, as well. We love pCloud for storing photos and music. We rank it as one of top options for both the best cloud storage for photos and the best cloud storage for music. Key features include image previews, slideshows and audio playlists. pCloud has excellent mobile apps for Android and iOS, too, capable of automatically uploading camera shots and streaming music from the cloud. The biggest advantage of pCloud over Microsoft and Google is its solid approach to security. That includes file sharing precautions such as file links, passwords and upload-only links, as well as a zero-knowledge add-on called pCloud Crypto. Read our pCloud review for more details about its security profile. Don’t forget to grab your 10GB of free storage, either. Like pCloud, you can get 2TB of cloud storage from Sync.com for just $8 a month. While you have to pay for a year in advance, that’s twice as much storage as you get with Dropbox for about $2 less per month, on average (read Sync.com versus Dropbox for more comparisons). Other Sync.com plans include a 500GB option for $50 a year and a 5GB free offer. The free plan can be augmented with referrals., which grant you and your referral an additional 1GB upon signup. Check out our complete Sync.com review for more cost analysis. Sync.com and pCloud are the two best cloud storage providers for consumer security, at least, if you take into account cost (otherwise, Tresorit would enter into the equation). Despite that, there are many differences between the two, which we’ve outlined in a head-to-head piece. The biggest differences are that the Sync.com browser interface and mobile apps can’t be used to preview photos or stream music and video, but, unlike pCloud, Sync.com provides zero-knowledge encryption for free. pCloud charges nearly $5 a month for that perk. Sync.com bolsters its standing as a secure provider with great file sharing features to keep your files safe, including link passwords, expiry dates, upload links and download limits. Two-factor authentication is another feature. For families that put cloud security first, Sync.com provides more bang for the buck than any other cloud storage provider. 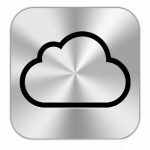 We have problems with iCloud in general, which we detail in our iCloud review. When it comes to cost and features aimed at families, though, Apple is tempting. There are two iCloud plans available, one for 200GB and one for 2TB. Both can be shared with up to five family members, just like Google One, and the 2TB cost is identical to that service, as well, at $9.99 per month. That’s a good deal, and so is the 200GB plan at just $2.99 per month. When you share your plan with family members, you permit the sharing of apps, songs, movies, photo albums and books. You can keep items private if you prefer, though, just in case you don’t want your siblings to find out about your predilection for young adult books featuring libidinous supernatural creatures. Sharing with users who aren’t on your plan is possible, but only for native apps such as Notes, Pages and Numbers. That limitation, along with no built-in file versioning capabilities, is among the reasons to consider iCloud alternatives. To help control purchases, Apple includes an “ask to buy” option for parents. When someone attached to your cloud account tries to buy something, you’ll be able to approve or deny the purchase from your device before you’re billed for it. Apple has other nice features for families, as well, including smartphone location services and a family calendar to keep the clan on track. Apple has a tightly-controlled ecosystem that some will loathe and others will love. The advantage is that it makes it easy to control storage and access tools. A key feature is storage optimization, which automatically controls what files are stored on your hard drive. On the other hand, selective sync isn’t an option, meaning you have little control over what gets stored. Not many cloud storage providers offer family plans. That’s a surprise given the competitive nature of the industry, but it may be that most families get by on free cloud storage. Look for that to change as more data continues to be accrued and more kids are equipped with smartphones. While OneDrive and iCloud have offered family options for a while, the real herald of that change is Google. Its Google One service will not only double the 1TB Google Drive plan, but let consumers share storage space with family. Look for other providers to make moves to try to match pace, which should be a good thing. The new Google One plan is generous, but, for now, we’re sticking with OneDrive as the top pick for families. For those who value security for their family’s digital footprint, though, pCloud and Sync.com are better choices, even if the cost of outfitting your entire family will probably be more expensive. Share your thoughts on cloud storage for families below, and thanks for reading.